2 . After an incredible hard-hitting match-up between two veterans, Tyson Dux forced the returning Pepper Parksto submit, and score the victory. An absolute clinic between two outstanding talents. 9 . 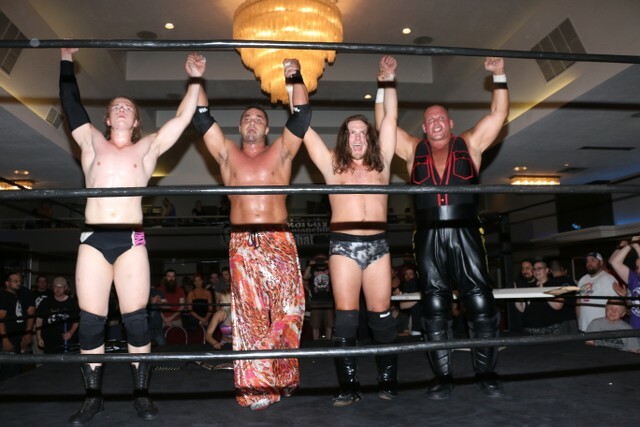 In a match that was everything people expected and more, “Diamond Tiger” Kobe Durst shocked everybody by successfully retaining the C*4 Championship against the debuting “PCO”, Pierre Carl Ouellette, as well as Teddy Hart and “Bad Boy” Joey Janela in a four-corner match. ← #C4CTL11 – Underground Championship Open Scramble!